Enjoy 3 classic music videos (and a cover by Lana Del Rey) in celebration of Bobby Vinton (nee Stan Robert Vinton), the Polish prince, who turns 80 today (born April 16, 1935). Born in Canonsburg, Pennsylvania, Bobby Vinton's father Stan was also local bandleader. Vinton began performing in clubs around Pittsburgh at age 16 with the first band he formed. It was his father Stan who suggested use his middle name Robert to eliminate confusion between himself and his father. Bobby Vinton graduated from Duquesne University armed with a degree in musical composition and proficiency in piano, clarinet, saxaphone, trumpet, drums and oboe. In the late 1950's he served as chaplain's assistant for two years in the US Army and it was during this time he wrote Mr. Lonely. 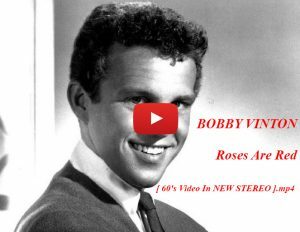 Bobby Vinton signed to Epic Records as a bandleader in 1960; the Roses Are Red album was issued in 1962 and the single Roses Are Red (My Love) reached #1 on the Billboard Hot 100 for 4 weeks. Vinton promoted Roses Are Red (My Love) himself to local DJ's by having a woman deliver a copy of the record and a dozen roses to them. Below, Bobby Vinton performs Roses are Red. 1962 was a good year for Bobby Vinton - not only did it kick off his string of hit singles, he married Dorothy Dobbins ("Dolly") in December of that year. In a 2012 interview with the Catholic Herald, Vinton recounted meeting her in the first grade of Polish school, and fainting 3 times during their wedding ceremony. 53 years later, Dorothy and Bobby Vinton are still together, living in Florida, and have 5 children. The following year - 1963 - Blue Velvet also hit #1 on the charts. In 1986 the David Lynch movie Blue Velvet was named after the song; and 1990 it was reissued, featured in a Nivea commercial, and hit the top #5 lists in the UK, Ireland, and Australia. Below, Bobby Vinton sings Blue Velvet. Mr. Lonely finally became a #1 US Billboard hit single for Bobby Vinton in 1964, along with his re-recording of There! I've Said It Again. This last song was only knocked out by the Beatles invasion and the song I Want To Hold Your Hand. Below, Vinton singing Mr. Lonely on American Bandstand in 1964. 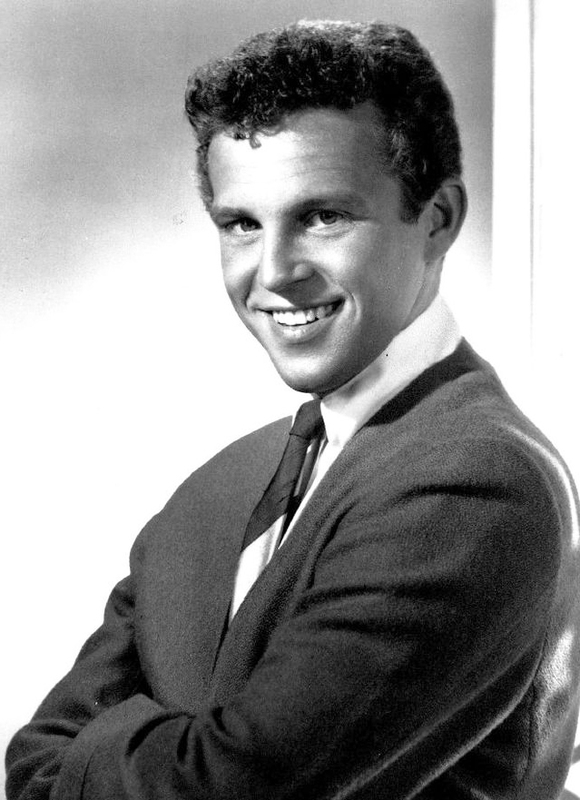 All told, Bobby Vinton had a total of 16 top ten hits during the 1960's, despite the continued success of the British Invasion on the North American charts. Although most of his hit songs were remakes - Long Lonely Nights (year), Please Love Me Forever (1967), and I Love How You Love Me (1968) - he also had success with song's he'd written himself such as L-O-N-E-L-Y (1964), and Coming Home Soldier (1966). Although his hit singles began to slow down in the 1970's, Bobby Vinton still appeared on the Top 40 charts consistently. Between 1961-1980, Vinton released over 30 albums. Polkas and songs sung wholly or partially in Polish were featured on albums, such as My Melody of Love (co-written and released in 1974). This song also became the theme song for his 1975-1978 variety show The Bobby Vinton Show, which featured Rowan & Martin's Laugh-In Arte Johnson as a regular cast-member. Bobby Vinton's last album was released in 1992. 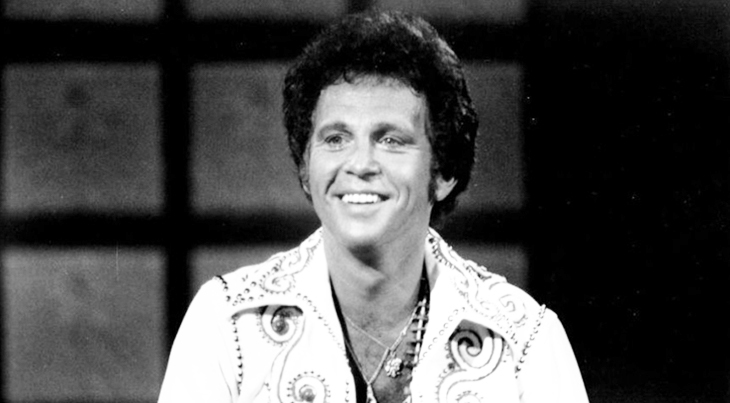 Baby boomers may also remember seeing Bobby Vinton on screen in movies and television series between 1965-1983, including a guest role on The Patty Duke Show in 1965, and alongside John Wayne (they became friends) in two movies - Big Jake (1971) and The Train Robbers (1973). Below, Bobby Vinton hosting the 1977 Miss USA pageant. In 1993 he opened The Bobby Vinton Blue Velvet Theater in Branson, MO and performed there (often with his daughters, and backed by the Glenn Miller Orchestra ) until selling the theater in 2002. "That I'm still alive and doing this. That's the accomplishment. I mean, so many of my friends aren't with me anymore...to still be able to do it and feel good about it and have energy - and I saved my voice. " Happy 80th birthday, Bobby Vinton! His website bobbyvinton.com doesn't list any concert dates since 2014.